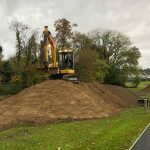 Cyclocross has made a huge leap forward in recent days with groundwork beginning on a state of the art skills zone and course within the National Sports Campus (NSC) in Dublin. 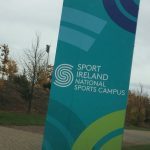 The Campus, operated by Sport Ireland, is headquarters to the majority of Ireland’s leading sporting disciplines and cyclocross now becomes part of the campus framework. 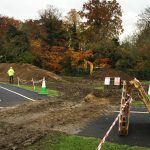 Donnybrook Landscape Co carried out the construction works to date and is a welcome partnership at the Campus. 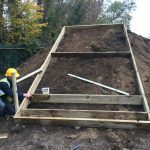 Paddy Daly worked closely with the commission to ensure the project was delivered to required specifications in a prompt timescale. 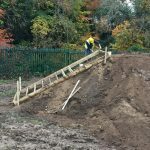 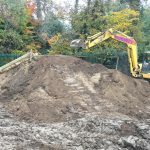 Phase one of the Campus cyclocross project is the construction of a skills zone which contains mounds of earth, running step sections, sandpit and hurdles, all common features of a cyclocross course. 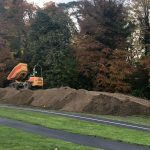 Phase one was started last week and is almost complete with 80 tonnes of soil being transferred to the zone and the construction of steps in put place. 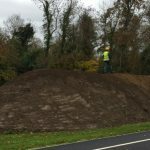 Three large mounds of earth form part of the skills area, with a maximum height of 2.5 metres and a length of 30 metres. 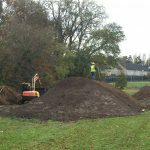 The long term plan is for the Campus to house a fully operational cyclocross course, based on UCI regulations and events to be staged there within the proximity of the campus. 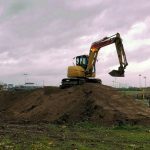 The skills zone should be fully functional by Spring 2019. 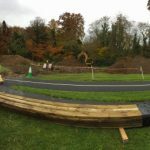 Construction on Phase 2, the cyclocross course itself, was also started this week with the clearing of a 3 metre wide channel through dense woodland. 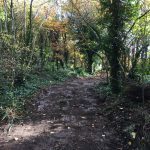 This section with link in with additional areas designated to form part of the larger 2.5-3km long course. 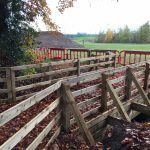 A purpose built wooden bridge has also been constructed and links the skills area to the first woodland area to provide a loop for riders to train. 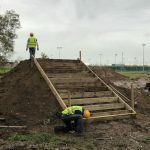 The culmination of the cyclocross zones within the Campus will see it become only the third such site of its kind in Europe behind the Sven Nys Centre in Belgium and the UCI Headquarters in Aigle, Switzerland. 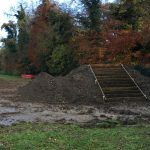 The facility is now in a settlement phase until spring 2019, any riding at this stage will cause damage.